It’s not the grandest of buildings. It’s designed to be low-profile, to keep open views to the gothic St Pancras, a building that was almost torn down. The BL is friendly and usable, a bit municipal but oddly cosy. And it is home to…deep breath…60,000,000 patents, 13,950,000 books, 8,000,000 stamps, 6,000,000 audio recordings, 4,347,505 maps, 1,607,885 music scores, 824,101 serial titles, 351,116 manuscripts and 260,000 journal titles. In other words over 200 million titles and 2 billion web pages kept on 625km of shelves spread over 14 vast floors. It can’t all be stored in King’s Cross, though, so some is in Boston Spa in West Yorkshire. There are 60 million newspapers spanning three centuries there, kept in low-oxygen storage chambers operated by robots. The British Library’s basement goes 24.5 metres below ground, and the most valuable publications are stored in inert chambers of nitrogen, carbon dioxide and argon to protect them against fire. The King’s Library tower houses all the books that were collected by King George III. The books are protected by a special layer of UV filter glass. This contrasts with the disastrous Paris library that failed to account for its modernist glass towers ruining the books, and proved inaccessible and inhospitable. The oldest items held in the collection are 3000+ year-old ancient Chinese oracle bones. 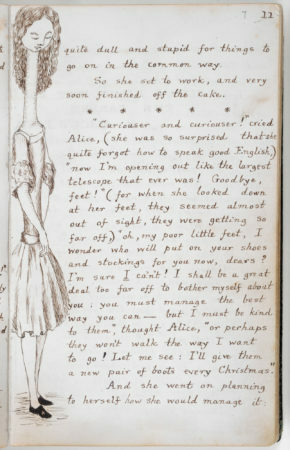 ‘Alice in Wonderland’ is here, as are the greatest political speeches and Oscar Wilde’s handwritten plays. And it’s used – boy, the place is always packed. It’s free to join (at least it was for me) and the process takes minutes – but the place is daunting in its vastness. Vast sections of the building are dedicated to saving parchment maps and legal rolls before they disintegrate. They also have a rolling schedule of extensive in-depth exhibitions and events. 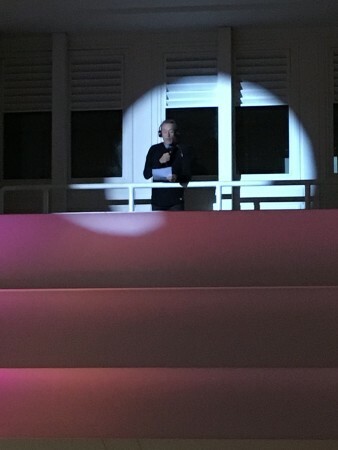 I got to do a gig there with the audience on headphones and me balanced on a steel beam three floors up. 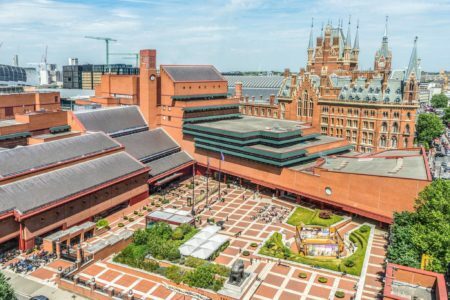 The British Library’s biggest success was in making sure it did not become an arrogant architectural monument at the expense of the books, but concentrated on those who would use it. Thank God Boris Johnson hadn’t been in charge of it. There are lots of academic libraries where one can study in London of course – from Senate House Library, where I went at the weekend to see their (disappointingly curated) display of Harry Price’s rare magic books, to the London Library, the private members’ lending library, which you can join for life on a sliding scale of payment according to how long you have left to live (I still can’t afford to join – I need to wait another 10 years). The British Library’s move from the British Museum was well-handled, although not as much fun as when the national library in Riga, Latvia moved from one side of the city to the other. The residents formed a human chain across the river, passing books by hand, so that everyone felt invested in helping (it was minus 15C so we were only allowed to do short stints). In a time when libraries are being closed all over the country, the BL is proof that knowledge and education are the key to the future, and the closing of libraries is a national disgrace. There are many joys to experience in the BL. Not least is the expertise of the folk who run the joint, even the youngest of whom seem to be steeped in arcane knowledge of all sorts. Doing some family history research I went to consult the India Office record collection – that alone occupies nearly 14 kilometres of shelving! The person I spoke to not only worked out exactly what I was looking for and got it to me, but an hour later found me in the reading room and provided me with a handwritten list of “a few other things you might want to check out that could be relevant.” They must employ some surly, and grumpy folk there but I’ve never met any. 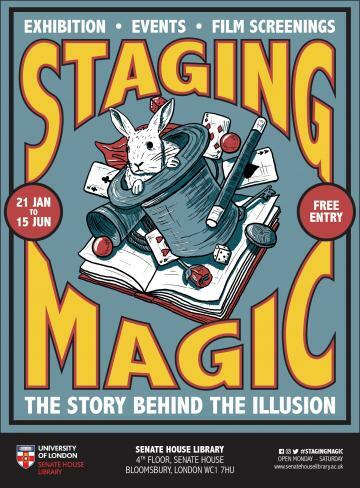 And they do wonderful public shows centred around their stuff. This year the Anglo-Saxon exhibition is stunning. And they have a permanent exhibition of “treasures” – where in the world can you walk in off the street for free and see handwritten lyrics by the Beatles, Beethoven’s tuning fork, and an original Gutenberg Bible all within 15 feet of each other? (Sorry Mr F if that was going to be a Christmas quiz question). But if you go into the bookshop only ever take £20 with you and NEVER take a credit card. Similar rules apply for the Wellcome Collection bookshop just a little way over the Euston road. Yes! All praise libraries, especially the BL. Martin, unfair of you to remind us that BL has a shop. My partner should have been giving the annual Virginia Woolf Birthday Lecture at Senate House at 2pm last Sat but they all had to find another venue (Birkbeck, University of London, in the end) due to the Independent Worker’s Union of Great Britain running a campaign to encourage groups etc to boycott using Senate House. This is due to the outsourcing of cleaners and manual workers to a private company with inferior terms and conditions, in the hope bringing these outsourced workers in-house. As my partner is a socialist he was very willing to co-operate. All hail the library, a splendid place. Our local library is one of my daughter’s favourite places. When you look at the pay and conditions they offer, you don’t need to be a socialist to boycott users of companies like that, Brian Evans, just someone with a basic sense of decency. I totally agree Roger. Unfortunately though, these days, there are too few people with a basic sense of decency. But I think that has been the case since human history began. I would love such a library, I would never want to go home!